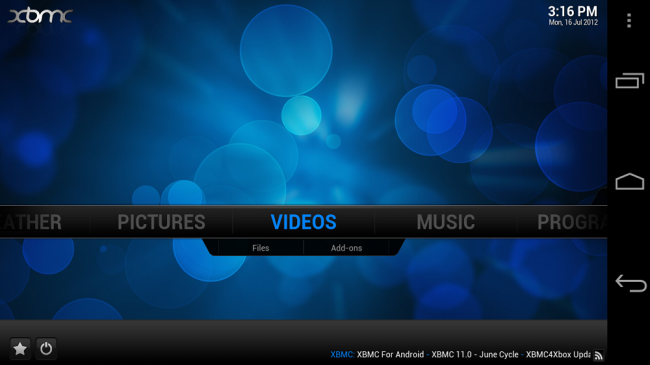 Things are heating up with XBMC in the Android arena. XBMC, if you haven’t heard, is a popular cross-media player that developers are working hard on getting ported successfully to Android. Nightly downloads are up and available as long as your phone falls into the list of NEON or non-NEON devices listed under the XDA thread. Installers beware, this is a nightly so there is a laundry list of bugs that have been reported with this application so far. Since XBMC is geared towards larger devices, the battery drain on Android is significant and the application uses a lot of your phone’s resources, expect your device to be running pretty hot. If you can brave the list of bugs and get the nightly working on your phone then hit the source link below and find the apk that works for your device.